No specific theme this week…just some cool books (movies) that you should know about! 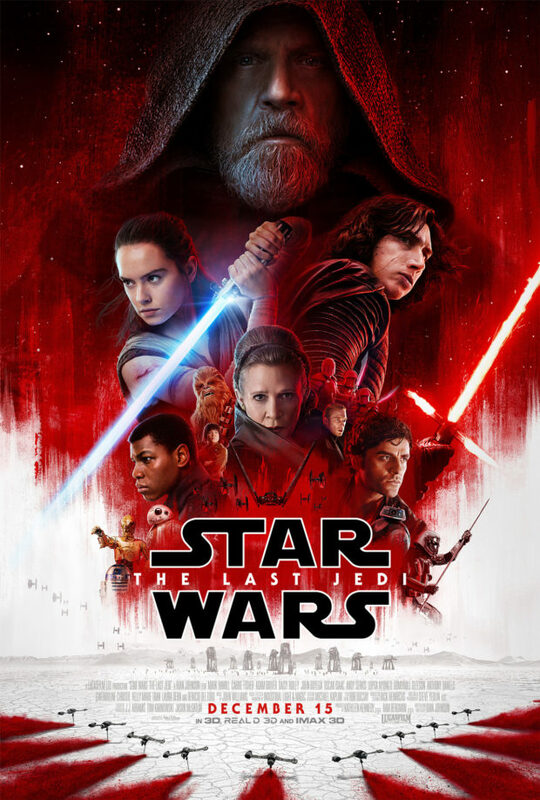 OK, I know it’s not a graphic novel, but I have three Film & Literature classes, and a lot of my kids are asking what I thought about The Last Jedi, and since it’s still new, and a lot of you have yet to have seen it, I’ll give you my two cents with NO SPOILERS. It’s amazing! That’s all you need to know. Go see it. It’s the best looking Star Wars film to date. The characters are still fun and engaging. The action is out of this world! Sure it has its problems, but so does every Star Wars film. It’s a Star Wars film. And here’s where if you are going to hate on me, you’ll hate on me. The original films are good. That is all. The problem with nostalgia is that we often romanticize media from our youth and get mad when things sway from our nostalgic belief system. You know what? Ghostbusters was just a good film…there I said it. And the new Ghostbusters was fine too. Get over it. For me, these past three Star Wars films have been the best of the series. I do love me some Return of the Jedi, but the story of the original series is just good. NOW, we mix in the tech to create films that look as good as the last three, and we have moved into the age in which Star Wars was supposed to have been born. I’ve decided to love the series with all of its flaws, and I refuse to let an addiction to nostalgia hold me back from loving how damned good this new film looks! My wife tells me that I hate tradition. Maybe that has something to do with my inability to care for the original trilogy as much as others would want me to. And yes, some people that know me will call me a hypocrite for my opinions on past media, and to them I say…we are all hypocrites. I am no different, but this Star Wars is the best (not being a troll; I honestly loved it! ).